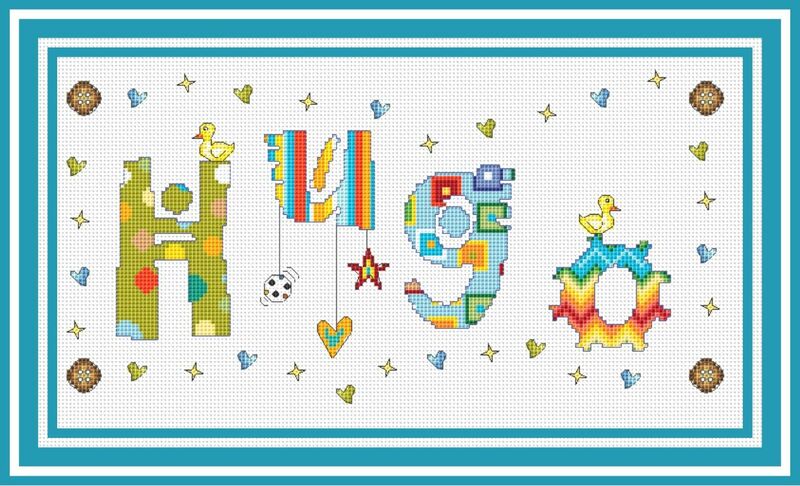 Detailed cross stitch designed to look like patterned fabric footballs, ducks, stars and hearts! Please give an indication of the colours in the text box provided. PLEASE ENTER THE NAME IN THE NOTES SECTION. PLEASE SELECT THE FONT NUMBER AND COLOUR SCHEME FROM THE MENU AT THE TIME OF ORDERING - THE PRICE VARIES FOR COMPLETE KITS DEPENDING ON THE NUMBER OF LETTERS.